The tough B&W ribbon acting as barrier to save the beautiful rainbow ribbon from the brutal chromatic scissors. The light from the bottom has successfully created dark shadows to make the scissors look more frightful and the barrier look more rigid. 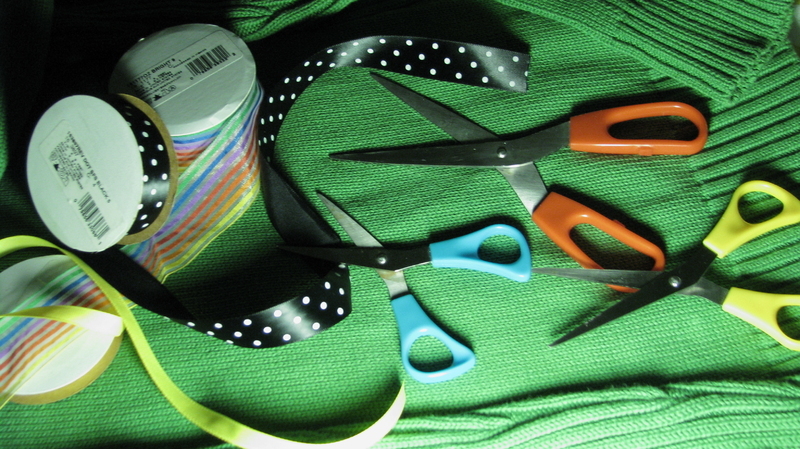 The green background emphasizes the red, blue and yellow colors of the scissors. Nice set of pictures. I love the simplicity. Superb !